Today, I'd like to introduce a special guest to the blog. 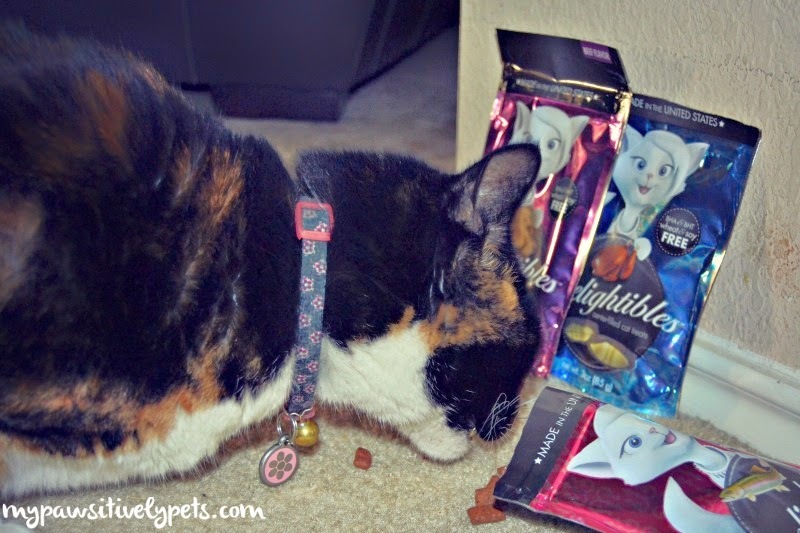 She's a lovely ladycat named Callie (because she's a calico cat) and she's excitedly accepted our offer to help out with a cat treat review of the new Delightibles center-filled gourmet cat treats. Callie lives with my brother and sister-in-law, so I guess that would make her my furry "niece". When I contacted Callie for this product review opportunity, she couldn't wait to get started so I rushed right over to her house so we could get to work. And what did Miss Callie think of Delightibles? She loved them! 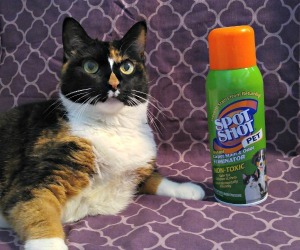 She was ready to dive right in to the taste testing part of this review and was eager to get to work once she smelled the Delightibles. She tried the turkey flavor first, which I think was her favorite. After a few morsels of the Salmon flavored Delightibles, she sauntered off for a quick grooming session and break. I do find it interesting that the packaging includes that these treats can also be fed in place of dry cat kibble. There are instructions for how much to feed if you wanted to give Delightibles as a meal. This option sounds useful for cats who may be refusing to eat due to an illness. One thing I will also mention is that the illustration on the front of the packaging was slightly deceptive, for me anyways. It is just a cartoon-like illustration and not an actual photo after all but I think I was expecting some sort of creamy goodness to come flowing out of the Delightibles. They are crunchy on the outside, and when we broke them open they are just slightly softer in the middle. Regardless, Callie did not seem to mind one bit. It's what's on the inside of the treat bag and how good it tastes that matters after all, right? Callie also promptly mentioned to her human that these are the purrfect size for holiday stockings. (*hint hint*) You can find Delightibles at Walmart stores. Christmas is coming up soon, human! You can follow Delightibles on Facebook and Twitter to stay up to date with them. Do you think your cat would like to try Delightibles center-filled gourmet cat treats? How about all SIX flavors? 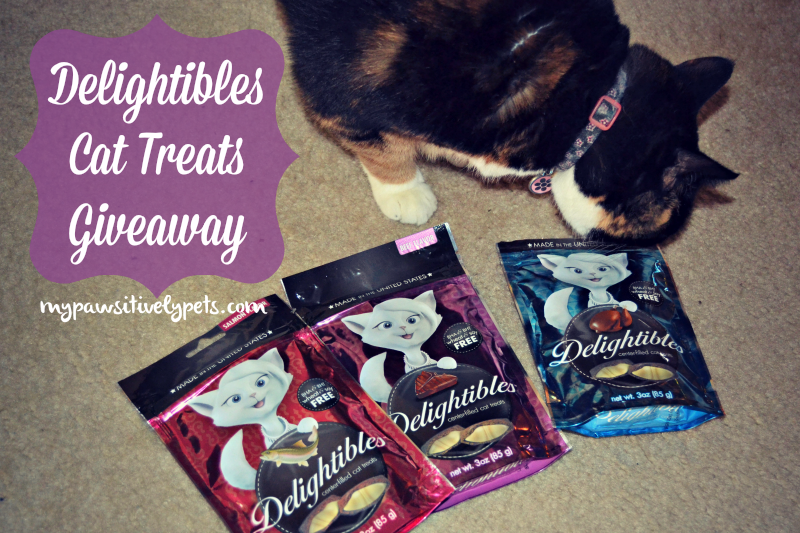 One lucky kitty will win a bag of each flavor of Delightibles cat treats. This giveaway is open to US residents only, ages 18+. The giveaway will end on Sunday December 7th at midnight Central time. To enter, simply fill out the Rafflecopter form below with as many options as you like. Good luck! The opinions in this article are my own. I do not work for or with any brand mentioned in this article; nor do I have any official relationship with them. 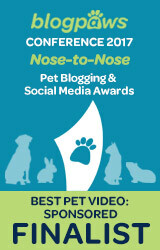 I have a relationship with GigaSavvy, for whom I create original editorial content. I'm going to take a wild guess and say that our cats would like the chicken flavor the most. They seem to hover around us whenever we have chicken out, lol. Also, I can't help but think that the cover cartoon looks like Sawyer from the movie Cats Don't Dance! Miss Callie I think your eyes say more than words, huh? Have a super tasty tuesday! Those do sound good but treats have become off limits around these parts! Mine would go for the tuna or salmon flavors the most. We would love any of these flavors! Mine would like the chicken flavor one the most. It's not showing up for me either today, so I am going to have to investigate a little bit to see if I can get it to work. Thanks for telling me though! My kitty boys would like the Chicken, Turkey or Beef flavors. BTW... At first, the rafflecopter didn't show but when I refreshed the page it did. I've noticed with their new format it's more difficult for it to load. I did redo it earlier today and it seemed to work fine for me afterwards. Hopefully the problem is solved! Those treats sound yummy! Chicken or Turkey flavors sound the best to us. Thanks for the cool giveaway! Oh, and we just have to say… Callie is adorable! I checked with my cats and they felt salmon would be their favorite flavor. They were hoping for mouse, but did not see it on the website. Hahah - well good luck Sam! My kitties would love to try the Tuna or Salmon but really I think they would be happy with any of them. Thanks for the chance to win this. My Flossie loves fish so it would be the Salmon & Tuna. Thanks for the nice giveaway! 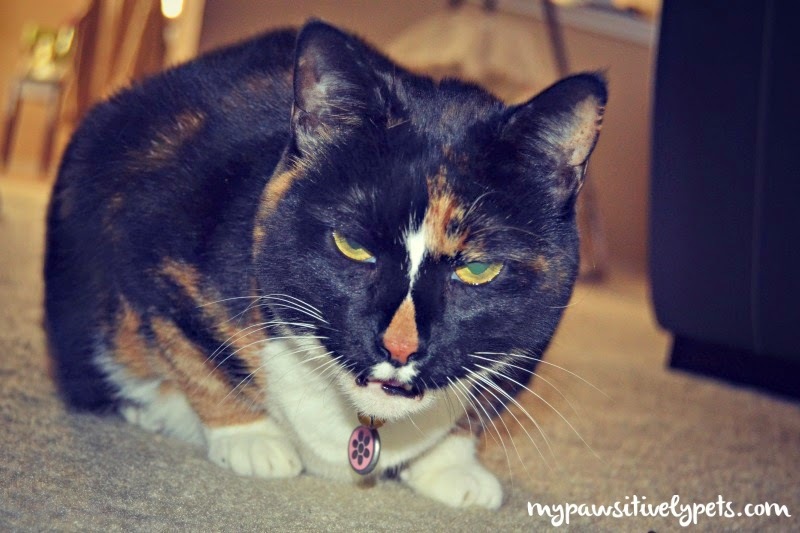 I have a calico named Callie too and she will eat anything! I think mine would like the chicken best. Thanks for the giveaway. 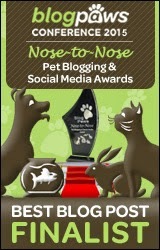 Thanks for the great giveaway—I think my kitty-boy would like the salmon flavor the best! We love chicken and turkey, and we are always up for trying new treats! Our cats would probably like the Salmon flavor. I think that Mr. B would enjoy the Beef Flavor the best. 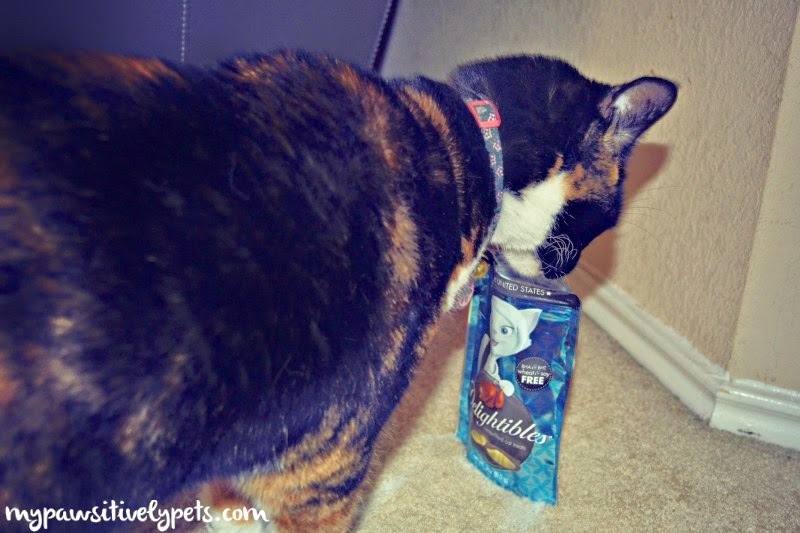 Callie the Cat would love to try Tuna Flavor! Our 3 cats would love the tuna, thats one flavor they all agree on. My three boys would probably love the Chicken.